Alex D. from MA is our winner! 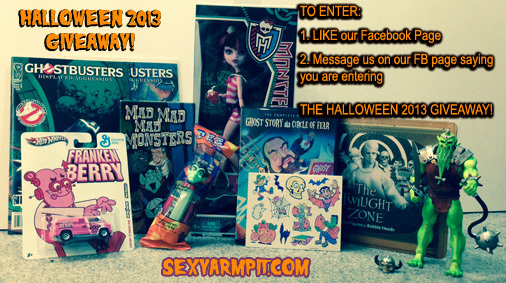 Congratulations on taking home our 2013 Halloween Giveaway Haul! We compiled all of the entries from our Facebook page (a record amount of entries!) and used random.org to choose the number of our winner. Thank you to everyone who entered! There will be another giveaway coming up in November! Come back again soon! Happy Halloween! ← HALLOWEEN 2013: Prime Evil and Jem!